Have You Heard Of Segment Intending? Have you heard of segment intending? You know about setting intentions, right? Well segment intending takes setting intentions a step further. You are already actually pre-paving your future experiences constantly without even knowing it. You are continually projecting your expectations into your future experiences. And so this process of “segment intending” will help you to consciously consider what you are projecting. This is all about becoming aware. Aware of what it is you want your day, your future and your life to look like. You enter a new segment anytime you begin to do something different throughout your day. For example, when you get into your car, you enter a new segment. If you will take a moment to see and think about getting to where you’re going, and how you want it to be, you’re creating the expectation of a successful journey. When you get out of your car to go into where you’re going, you stop for a second and see and feel how it will play out. You are setting the tone of this “segment”. What this does is put your focus on one thing at a time. One “segment” at a time. When you do this it brings more clarity and power to what you’re doing, and how it ends up playing out. If you have a meeting with someone, take a moment to see the meeting in your minds eye and how it will feel and turn out. This is segment intending. Segment intending will put you in the position of being a deliberate, magnetic attractor, in each of your segments throughout your day. To me this is a form of prayer. I say “thank you” often before I enter into a new segment. Thank you to God and my angels. It’s taking responsibility for my day. It’s like anything else new you begin to do, it takes practice. It takes slowing down enough and remembering to do this with each new segment you enter. The value of the segment intending process is to encourage you to pause many times during the day to say. “This is what I want from this period of my life experience.” Then you’re attracting into your life more of what you want. 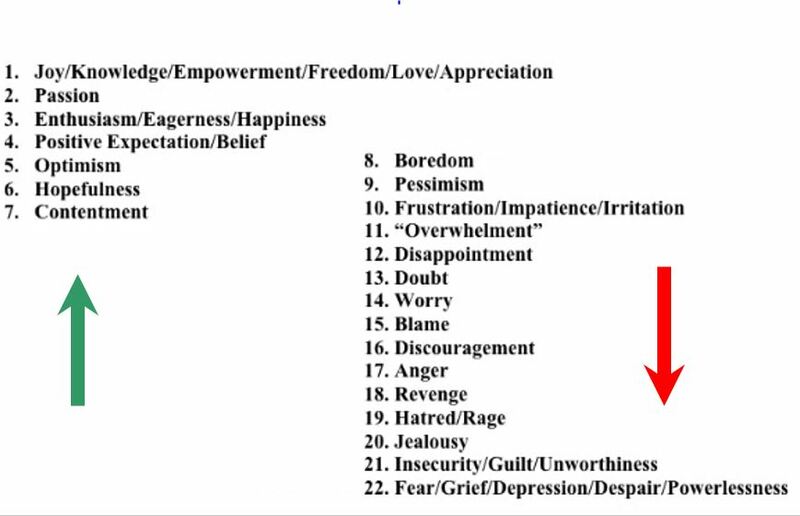 Remember the emotional vibration chart I’ve shared before? Doing segment intending throughout your moments will help keep you more on the left side of the scale, where your emotions are of a higher vibration. They feel better. And you are able to energetically attract more of what you want; people, situations and feelings. Will you begin to do this? Please leave me a comment and write to me after you begin to do this for at least one week, to let me know what differences you have in your life! 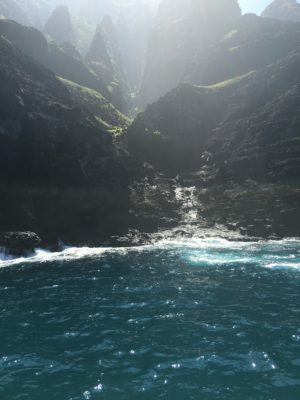 PS At the end of my first Kauai Spiritual Vacation Retreat in 2015, I knew the power of intention. The power of seeing this retreat as I wanted it to be. It ended being way more than I had envisioned it to be. You too will see what I’m talking about when you join me next year for our next retreat. 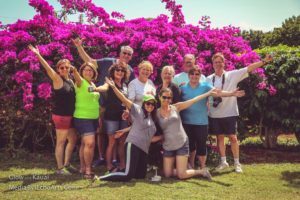 October 5-12, 2018 you will have a chance to simply BE, while experiencing this magical island with a small group of like-minded people. I will share with you 10 of my favorite Universal Laws to carry into your personal and professional life, to transform it into something you’ve dreamed about. Contact me ASAP since we are already over a third of the way full! Aloha!